The article title: for many, it’s the hardest part of writing an article. At some point in every writer’s life, there’s the struggle to create a quality article title. 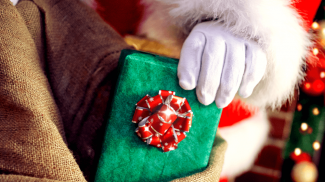 Creating a click-thru generating title takes even more creativity. The brutal reality in this world of short attention spans and information overload is that the headline is often more important than the actual article itself. So what are you to do if you can’t write a great title or need ideas to help jump start the writing process? Never fear. There are title generator sites that will get your creative juices flowing. With the help of these sites, you’ll never lack for traffic generating headlines for your articles. 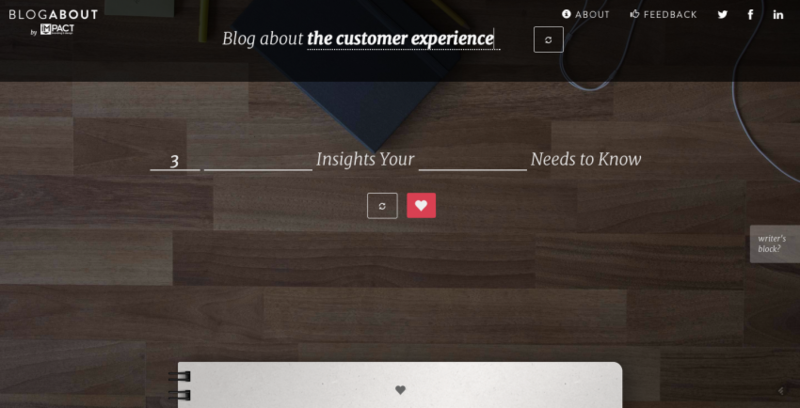 Below are six tools for creating titles and articles that make readers click. 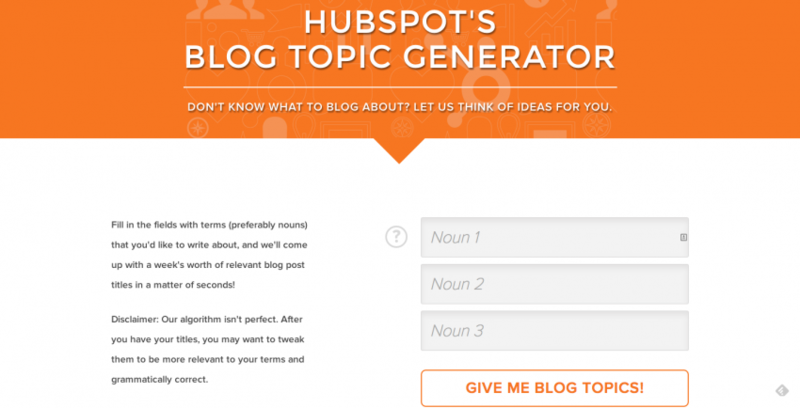 HubSpot’s Blog Topic Generator is one of the more popular blog topic generators out there. All you need is three words and viola, you have blog titles. The tool also generates blog topic ideas to help you break free of that writer’s block. 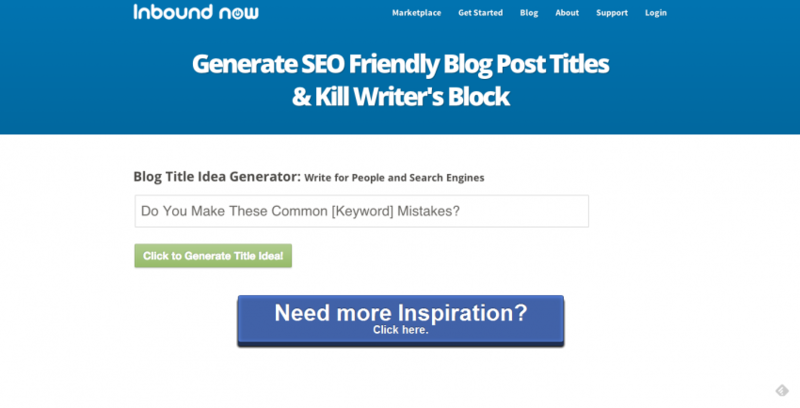 The HubSpot generator is an effective all-in-one solution if you don’t know what to write about. 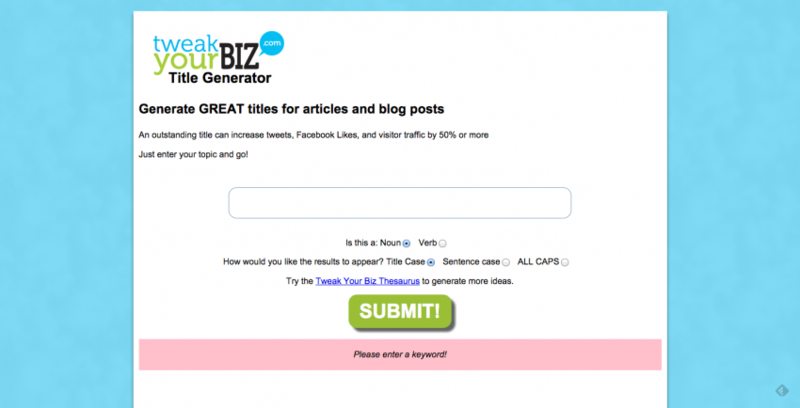 Have you tried any of these article title generators before? Which idea generator did you find to be the most helpful? Timothy Carter is founder of digital marketing agency, OutrankLabs. He’s also the Director of Business Development for the Seattle-based content marketing agency, AudienceBloom. 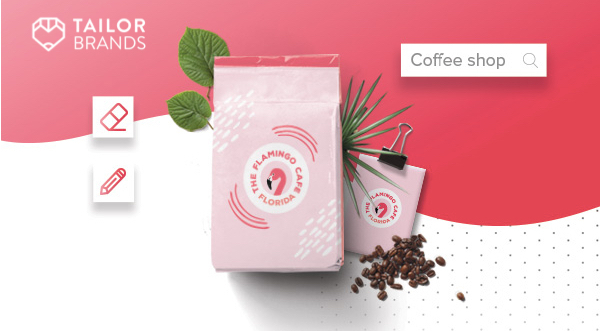 When Timothy isn't telling the world about the great work his company does, he's planning his next trip to Hawaii while drinking some Kona coffee. Thanks for the list. I found “Tweak Your Biz Title Generator”, “HubSpot’s Blog Topic Generator” and “Portent’s Content Idea Generator” are quiet interesting than the rest one. It’s a great resource. Thanks for share. I think you missed UpWorthy Title Generator tools, it’s awesome. I wanted to say thanks for sharing this kind knowledge; this information is very helpful for me. First I had to waste a lot of time think about the blog topic, but not to since I ‘m using you the means. Therefore this information very helpful for me. Hey Timothy, I like your effort of writing a very important article for all the content writers. They badly need this kind of help. But I have seen that the tools are not 100% accurate. Though I like the “Tweak Your Biz” tool, but rest of the others are not as good as “Tweak Your Biz”. Excellent list, thank you so much for putting this together. These are great tools but many a time they don’t churn out a meaningful title. So, I also maintain a list of good titles and I take help from those titles along with these generator tools. This approach helps me come up with great titles that also make sense.